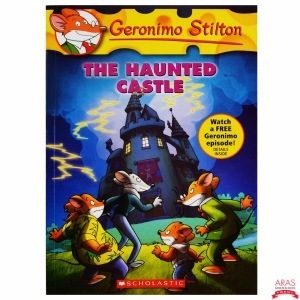 Geronimo Stilton the Haunted Castle. A mouse that travels. 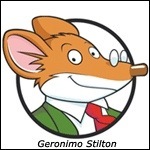 Geronimo Stilton is the main character. 3) What was your favourite part of the book. When they are traveling and they get lost. When they have a wedding. To always have a map. Cole – I loved reading this book with you and having us each take turns read a few pages at a time. I think the wedding was a great part of the book as well. Why not share a few more details about the haunted castle itself? Why did Geronimo go into the castle? Who was that really scary mouse that he met? I think the readers of your blog would love to hear a few more details. Now we are starting to read Bad Kitty – which are very funny books so I hope the next book report is about bad kitty taking the bath because we laughed and laughed imagining Lucca getting a bath, didn’t we? I love bad kitty! I hope you feel better. I’d like to know more about the Haunted Castle as well Cole. Lucca has a bath every day, doesn’t she? Ok. It would be funny if Lucca had a real bath. Cole, sounds like a cool book. I have been lost quite a few times since I have been here in Copenhagen, but I have always had a map to get re-orientated. Have you ever been traveling and have gotten lost?